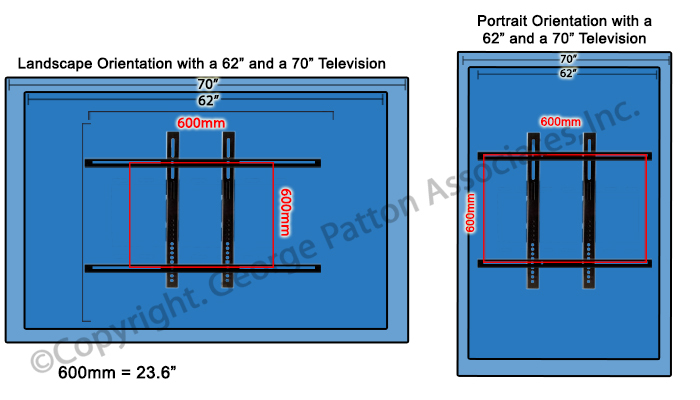 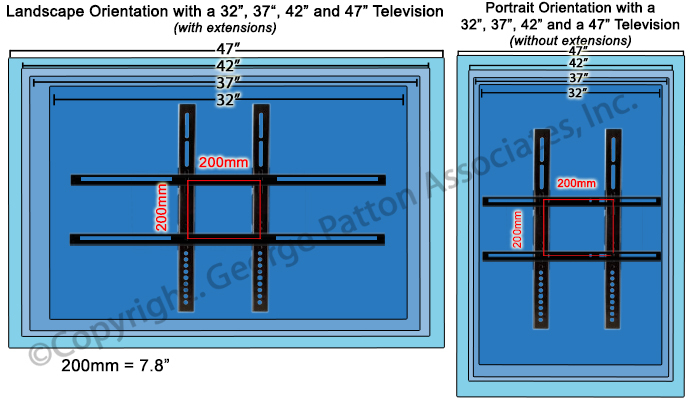 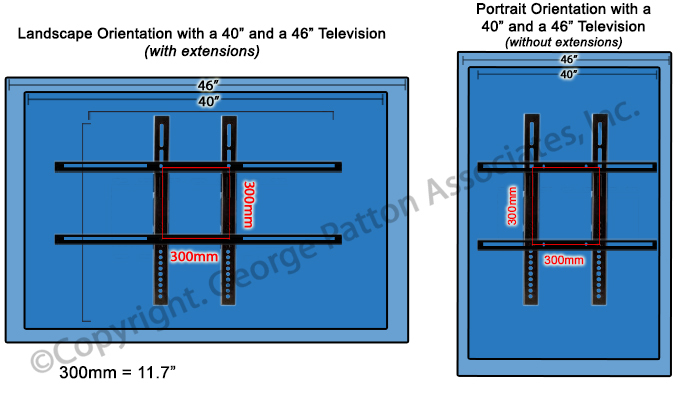 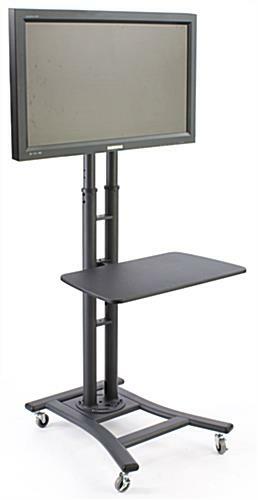 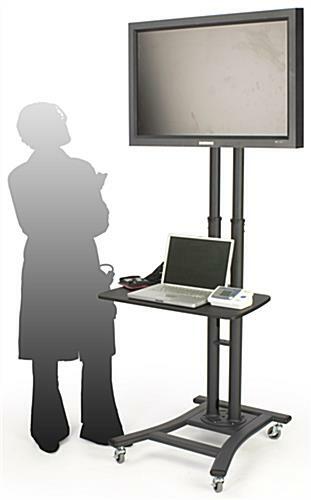 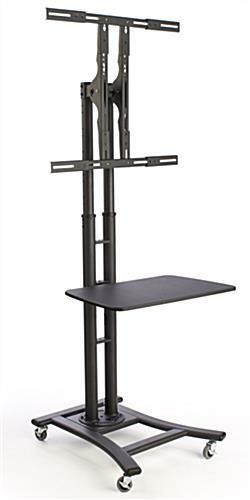 These adjustable height LCD carts can display LED televisions measuring between 32" and 70" in a portrait or landscape orientation. 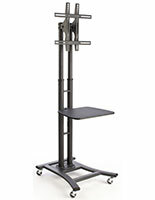 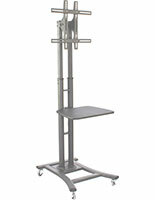 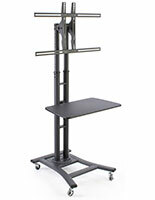 The stands are made of strong steel with a neutral black finish that will blend in with any interior. 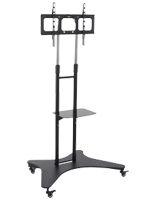 The LCD carts have caster wheels that can be used to move them from room to room. 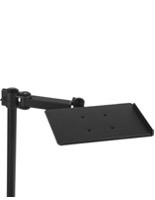 The fixtures for LED televisions can support up to 110 lbs. 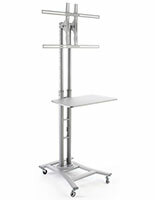 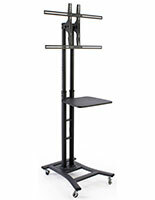 of weight and feature a 28" wide shelf for AV equipment. 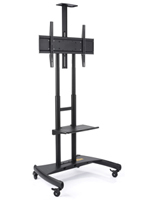 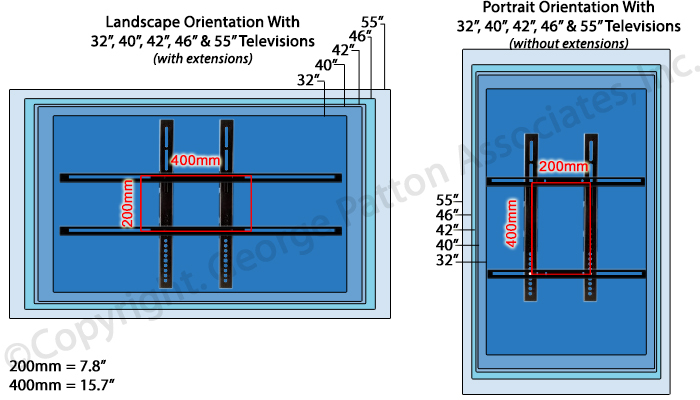 The black carts are compatible with VESA sizes ranging from 200x100 to 600x600. 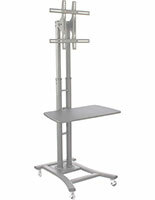 The caster wheels have the ability to lock for extra stability in any environment.